The Federal Bureau of Investigation is investigating the Muncie, Ind. government, but the reasons behind the investigation have not been revealed yet. Muncie, Ind. 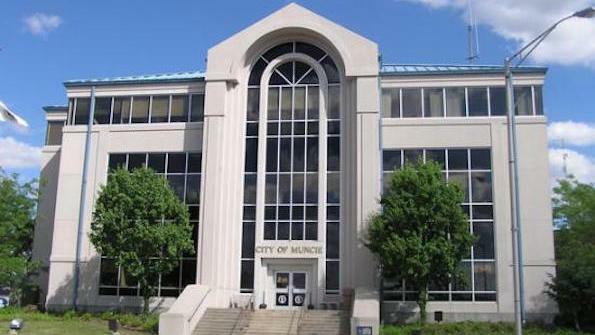 Mayor Dennis Tyler said that his administration has given information to FBI officials and have been encouraged to cooperate with the investigation, according to the Associated Press and the Muncie Star Press. "I know my department heads have provided information to them,” Tyler told the Star Press. “There isn't any reason for them to not cooperate." While the exact reasons for the probe are unknown, the Star Press reports that FBI agents have spoken to locals about city-overseen building demolitions and the sudden spring departure of a longtime city employee who had supervised several Muncie Community Development demolition contracts. "Unfortunately, the FBI doesn't confirm or deny investigations," Wendy Osborne, an FBI special agent and spokeswoman told the Star Press. "I'm not in a position to provide further information." Another concern for the investigation might be the Muncie Sanitary District’s purchase of a former flea market building for $395,000 a few weeks after the prior owner sold the property for $150,000, according to the Star Press. The former owner, Carl Barber, named FBI agents who contacted him after the building’s purchase was announced. "They said, 'We don't work like local police departments,'" Barber told the Star Press. "''We keep our stuff all together and jump on it all at once.' They keep it under their hat." Tyler’s administration has denied any wrongdoing in each of these occurrences, and the Muncie Sanitation District’s attorney told the Star Press that the FBI hasn’t asked the district for any documents or interviews. The Star Press notes that another cause for the investigation might relate to how the city used the $4 million in state and federal funding – called Hardest Hit Funds – that it received in 2014 to remove abandoned structures. The Inspector General’s office declined to comment on if it made such an inquiry. Delaware County officials believe there is no extension of the investigation into county affairs. Delaware County Commissioner James King told the Press Star he first heard about the FBI investigation in 2015. Last year, another FBI investigation was carried out near Muncie in which multiple search warrants were issued across Delaware County, according to WXIN and WRTV. That probe was concerned with a homicide investigation and a large marijuana operation.